Margaret Gibson is the author of eleven poetry collections, all from Louisiana State University Press. Her most recent collection is Broken Cup (2015), whose title poem won a Pushcart Prize for 2016. She is also the author of the memoir The Prodigal Daughter (Columbia University of Missouri Press, 2013). 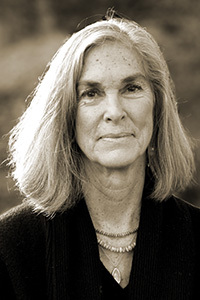 She received the Lamont Selection of the Academy of American Poets for her poetry collection Long Walks in the Afternoon (1982), the Poetry Society of America’s Melville Kane Award for Memories of the Future (1986), and the Connecticut Book Award in Poetry for One Body (2008). Her collection The Vigil (1993) was a finalist for the National Book Award in Poetry. Gibson is a professor emerita at the University of Connecticut.